Ten years ago, faced with mass bankruptcies and the very real prospect of a rerun of the Great Depression, the US Federal Reserve took the fateful decision to unveil a new policy called “quantitative easing” or QE. This anniversary may seem unimportant but it should be commemorated because the policy of QE changed politics more profoundly than almost any other event or policy initiative in the past decade. Ironically, a policy that was supposed to protect the balance sheets of the wealthy has unleashed forces that may lead to the appropriation of those assets in the coming years. The issue this article wants to address is whether QE, designed to protect the assets of the Baby Boomers that were threatened in the 2008 crash, has caused a lurch to the left in the millennial generation (Generation Y) and their younger siblings, Generation Z. Will these age groups ultimately vote for much higher wealth taxes, wrestling these now more valuable assets from the Boomers? But before we look forward, let’s look back a bit. In March 2009, the Fed abandoned caution and undertook to exchange trillions of dollars of bad, old assets sitting on banks’ balance sheets, for trillions of dollars of good, new money that the banks could then lend out. This dramatic change in policy was designed to offer a lifeline to the banks. The alternative would have been to allow the widespread default of debts incurred in the worldwide boom. Mass defaults would have bankrupted the banks. The Fed believed that letting the banks go bust in the 1930s was what turned the post-1929 crash recession into the Great Depression. It didn’t want to risk that again, despite widespread and legitimate concerns about bailing out banks that had largely caused the crash through profligate lending in the boom. The central idea was that the new lending would avoid defaults by pushing up asset prices, repairing balance sheets that had been broken by the crash. In March 2009, QE started in earnest and so began the largest “cash for trash” scheme the world has ever seen. From the start of the financial crisis through to the conclusion of the final round of QE in October 2014, the value of assets exchanged from the broken banks to the Fed rose nearly 420 per cent, from $870 billion to $4.5 trillion. The intended consequence of this policy – copied by all the major central banks – was to drive up asset prices across the world. The supposition was that rising asset prices would make people who owned assets feel better, they would then borrow a bit more and the economy would right itself. Indeed, this is what came to pass, eventually. The US and the world economy did recover but something else happened. Who do you think benefitted more from a policy that drives up assets? Rich people or poor people? Obviously, rich people because they own the assets, that’s why they are rich! The political consequences of this are enormous – and to date they have been only partly felt. As asset prices rose much faster than wages, the average person fell further behind. Their stake in society weakened. The faster this new, asset-fuelled economy has grown, the further behind the average person has fallen. This threatens the political status quo because our politics is based on the notion that the faster the economy grows the better, because a rising tide is supposed to lift all boats. The accepted implication is that growth is good for lessening inequality. But what if this is wrong? If asset prices rise faster than wages, then when the economy grows, inequality increases. What then? The political ramification is that the people left out of the asset bonanza, which is the majority, vote to claw back their share and vote for people shouting slogans such as “Take Back Control” or “Make America Great Again”. The message in these slogans is that the countries in question needs to be shaken up and the spoils shared more evenly. In short, popular revolts against the elites have as much to do with recent economic decisions as with historical nostalgia about former national glory. Furthermore, as the old and the middle-aged own assets, is it any surprise if the young vote left in much bigger numbers? The battleground for the new politics is the property market, where the reality of QE is most evident. In Ireland, lots of free central bank money sloshing around has driven up house prices, so much so that accommodation is out of reach for the young. As a result, all over the world the young are moving to the left. In the UK this shift has been most dramatic. Research shows that if only the votes of the under-25s were counted in the last UK general election, not a single Tory would have won a seat. Housing is the great divider there too. Property ownership amongst the over-65s in Britain has risen over the past two decades or so, from 63 per cent in 1996 to 77 per cent in 2016. Home ownership among the under-35s has declined from 54 per cent to just 34 per cent over the same period. In the US we see a similar gap emerging between the generations. Just 27 per cent of millennials approve of Trump’s job performance, compared with 44 per cent of Baby Boomers. Opinion is not divided on Trump only, but on a range of social issues. For example, 52 per cent of millennials suggest racial discrimination as the main reason many black people cannot get ahead; just 36 per cent of Baby Boomers cite it as the main cause. Similarly, while 79 per cent of millennials believe immigrants strengthen the country, just 56 per cent of Baby Boomers agree. In terms of foreign policy, millennials are far more likely than Boomers to believe that peace is best ensured by good diplomacy rather than military strength. 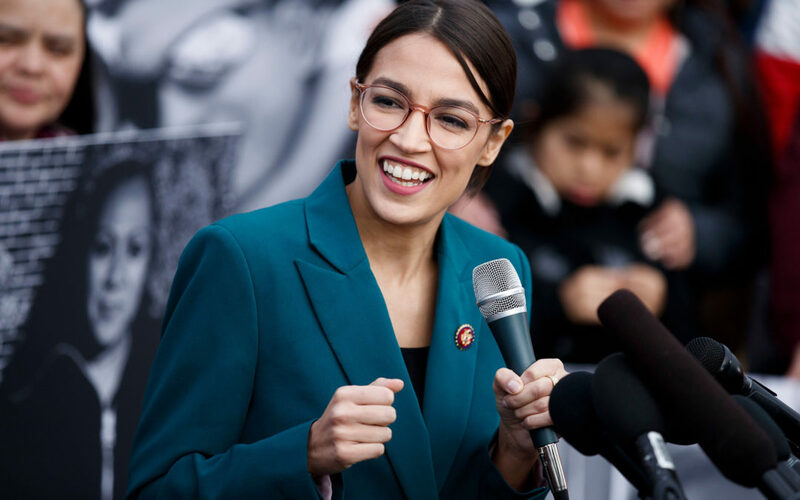 Exciting new politicians have emerged in the US, such as New York’s Alexandria Ocasio-Cortez, who is calling for a 70 per cent tax on the wealthy. This would have been unheard of a few years ago. Time will tell if such a person emerges in Ireland. For now, the parties of the centre can rest easy enough, but if asset-fuelled capitalism continues apace, a big political change will follow. Ten years ago, QE was unveiled to usher in a new period of trickle-down economics; its unintended consequence was to spark a bottom-up revolt against the elites which is far from over.